LoveHKFilm.com’s very own Kevin Ma reviewed Johnnie To’s latest film, Vengeance, after seeing it at the 2009 Hong Kong Summer International Film Festival. Then Kozo shared his thoughts on this stylish revenge flick on his blog back in February. So, seeing as how I’m the odd man out, I figured I might as well give my two cents on the movie as well. For at least half of the film’s running time, I couldn’t help but wonder what Vengeance would have been like if its original star, Alain Delon, had not backed out of the project. After all, the character in Vengeance is named “Costello,” a nod to Jeff Costello,* the handsome, fedora and trenchcoat wearing protagonist of Jean Pierre Melville’s 1967 classic, Le Samourai. 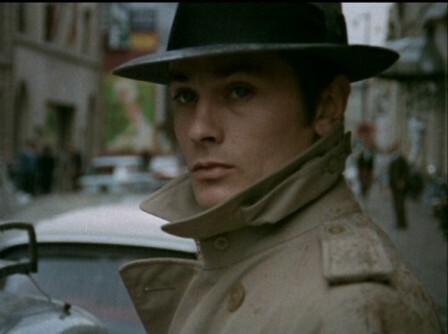 I won’t pretend that I’m an avid Delon fan; we do share the same birthdate (November 8th), although he’s a good ten years older than my father. But seeing him in Le Samourai and Purple Noon, Rene Clement’s 1960 adaptation of Patricia Highsmith’s The Talented Mr. Ripley, shows me what a cool customer this guy was — and perhaps still is. Sadly, this “What if?” speculation must be confined to the annals of movie geekdom for now.